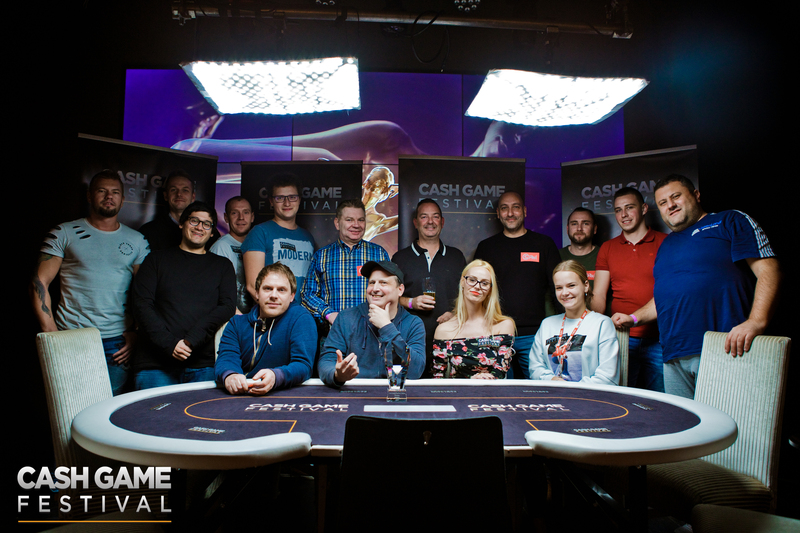 A week has passed since the last cards were dealt at the final Cash Game Festival of the year in the Estonian capital of Tallinn at Olympic Park Casino. There is no time like the present to reflect at the excitement of the festival and most importantly the Cash Game Festival crowning a new trophy winner in Estonia’s Rain Jõgioja. On Day 1 of the Cash Game Festival Tallinn, Rain Jõgioja (pictured below) won a whopping €1,845 at the €2/€2 pot-limit Omaha feature table. The Cash Game Festival trophy is awarded to the player that wins the most big blinds at any of the 10 official televised feature tables during the festival and there was already a buzz as to whether Jõgioja would win his first CGF trophy after nailing down 922.5 big blinds in profit. The new Cash Game Festival commentator Christin Mäemets hosted the action at all of the feature tables with many guests joining her in the booth. The competition was fierce with many eager players to win their first, second, or even third Cash Game Festival trophies. 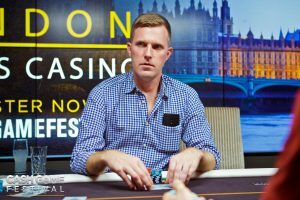 Among the many players our fans believed had a chance to win the trophy were Irish poker legend and Cash Game Festival veteran Kevin Malone and Cash Game Festival Co-Founder Martin “Franke” von Zweigbergk. 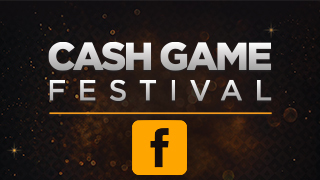 Many other fierce competitors including British poker pro and MainEventTravel CEO Fraser MacIntyre and a plethora of online grinding qualifiers from Cash Game Festival partners 32Red Poker, Unibet Poker, betsafe Poker, and Olybet Poker were all hungry to enter Cash Game Festival history books themselves. Rikard Relander came close but no cigar on Day 2 after winning €756 (756 big blinds) at a €1/€1 no-limit hold’em t.v. table featuring players from poker clubs around Estonia. Michelangelo Scalcione, who was attending his first Cash Game Festival in Tallinn, also proved to be a tough competitor by winning two t.v. tables, while Oliver Florea, Anton Dzhelali, Barry McGleenon, and 32Red Poker qualifiers Christian Braeuer and Stephen Groom also won their feature tables. In addition, for the first time, we hosted an unofficial t.v. table early on Day 3 featuring games never seen on the CGF stream before including Big O (five-card PLO h/l), Courchevel, Badugi, Crazy Pineapple, and Sviten Special. Our fans enjoyed watching and listening to analysis of many of the games that are played at side tables during festivals while watching Jens Henrik Riis, otherwise known as Dansken, book a table-leading profit of €573 (286.5 big blinds) with stakes at €2/€2. However, as has been the case at many Cash Game Festivals, many thought it would be at the final feature table on Day 5 with stakes at €2/€2 pot-limit Omaha where Jõgioja’s lead for the trophy could be challenged. The battle featured many strong players out for blood. Fraser MacIntyre managed to win this feature table with €1,240 in profit. However, the 620 big blinds in profit fell short of the goal and Jõgioja was crowned the Cash Game Festival trophy winner. Along with the trophy, Jõgioja walked away with a package valued at €1,000 to the first Cash Game Festival of 2019 at Aspers Casino Westfield Stratford City in London on Jan. 30 to Feb. 3. The t.v. tables were just part of the excitement of the Cash Game Festival. The poker room maintained an electrifying buzz throughout the festival with double-digit tables running in many games including no-limit hold’em, pot-limit Omaha, Sviten Special, and Super Dealer’s Choice. Of course as is customary at Cash Game Festival, we lavished those with the hospitality package including the many qualifiers from 32Red Poker, Unibet Poker, betsafe Poker, and Olybet Poker to plenty of fun away from the tables starting off with welcome drinks on Day 1. On Day 2, we asked players to bring sporty attire to a bowling competition. However, instead of bowling players were first treated to beers at an authentic Estonian rock pub followed by pole dancing lessons. Mick Smith and Anton Dzhelali were perhaps the most impressive at pole dancing seeming like absolute naturals. Some of the other amazing activities included a unique guided city tour that ended with beer tasting, a world-class dinner, and of course one of Cash Game Festival’s notorious VIP parties. If you were unable to join in on the fun in Tallinn, rest assured you will not have to wait too long to enjoy the next festival. 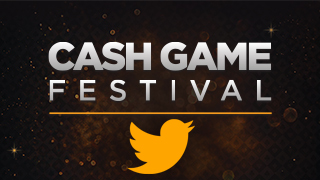 On Jan. 30 to Feb. 3, the Cash Game Festival will return to the British capital of London at Aspers Casino Westfield Stratford City for the seventh time for another five days of nonstop cash game action. The British capital is the mecca of cash games, so we want to be there. You will not be disappointed as always we will offer amazing games with buy-ins low and high. You do not have to be a professional or a hard-core player to enjoy the festival. 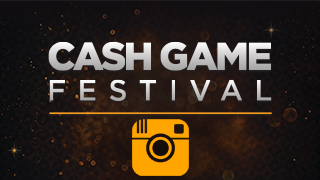 Remember the Cash Game Festival is about having fun and we attract many recreational players out for a poker vacation. Please note that the registration for London stop games and TV tables is already open. Simply click here and register! You will hear back from us.